I’ve been really into color lately, adding bolder pops of different colors to most of my looks. 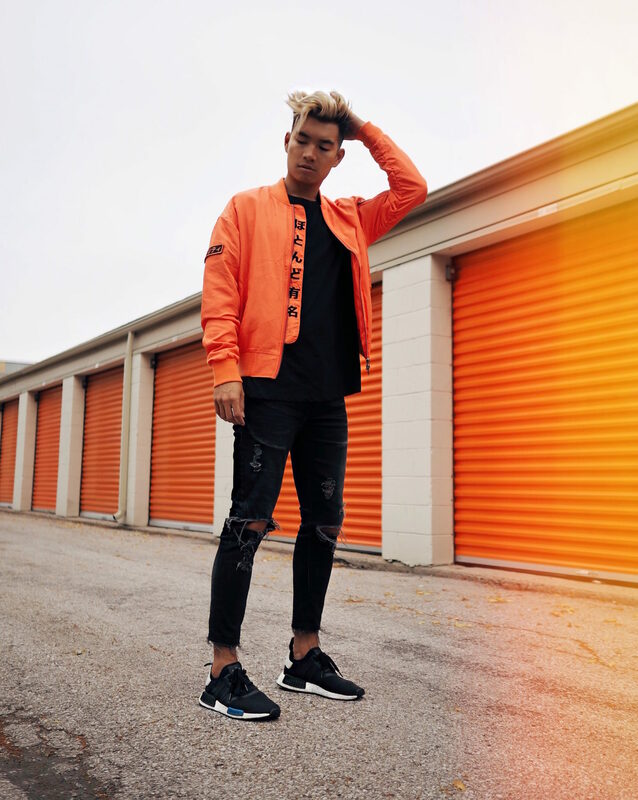 Here, I went for bright orange, by way of this amazing bomber jacket from one of my favorite streetwear brands, KUWALLA. It’s the perfect weight for summer and adds a vibrant pop of color, while still maintaining a cool, street vibe. The placket features Japanese characters that read “Almost Famous”, which I love for its cheeky relevance in this day and age of social media.